We may define a traumatic bone fracture as a wound of the osseous tissue. Varying amounts of time are required for a wound to heal — less in soft tissues, more in bone. 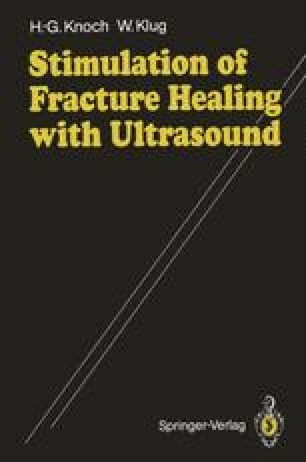 In the past 100 years a great many attempts have been made to accelerate the process of fracture healing. Unlike the healing of soft-tissue wounds, fracture healing requires the immobilization of entire body parts, prolonged inactivity, and the associated prolonged suspension or restriction of normal work and recreational activities.